Here are two great standards beautifully performed by the lovely actress Dyan Cannon. 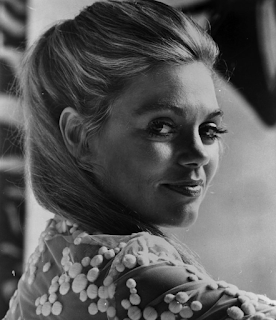 Dyan Cannon (born Samille Diane Friesen in 1937) is an American film and television actress, director, screenwriter, editor, and producer. She has been nominated for three Academy Awards. Cannon was born in the state of Washington in 1937. She was raised in the Jewish faith of her mother, an Ashkenazi who had emigrated from Russia; Dyan's father was Baptist. She attended West Seattle High School. Her younger brother is jazz bassist David Friesen. Cannon made her film debut in 1960 in The Rise and Fall of Legs Diamond; she had appeared on television since the late 1950s, including a guest appearance on Bat Masterson as Mary Lowery in the 1959 episode entitled "Lady Luck" and again as Diane Jansen in "The Price of Paradise". She made another guest appearance in 1959 on CBS' Wanted: Dead or Alive starring Steve McQueen in episode 54 "Vanishing Act" as Nicole McCready. About this time, she also appeared on another CBS' western series, Johnny Ringo, starring Don Durant, and on Jack Lord's western adventure drama Stoney Burke on ABC. She also appeared on an episode of Hawaiian Eye, using her name Diane Cannon, in 1961, opposite Tracey Steele, Robert Conrad, and Connie Stevens. In 1963, Cannon joined the national touring production of the Broadway musical How to Succeed in Business Without Really Trying, in which she played Rosemary. She portrayed Mona Elliott, with fellow guest star Franchot Tone, in the episode "The Man Behind the Man" of the 1964 CBS' drama series The Reporter, with Harry Guardino in the title role. She also made guest appearances on 77 Sunset Strip, The Untouchables, the perennial western series Gunsmoke, the 1960 episode "Sheriff of the Town" of the first-run syndicated western series Two Faces West with Walter Coy as Cauter, and the 1962 Ripcord episode "The Helicopter Race" as Ripcord Inc.'s secretary and receptionist Marion Hines. Cannon's first major film role came in 1969's Bob & Carol & Ted & Alice, which earned her Academy Award and Golden Globe nominations. 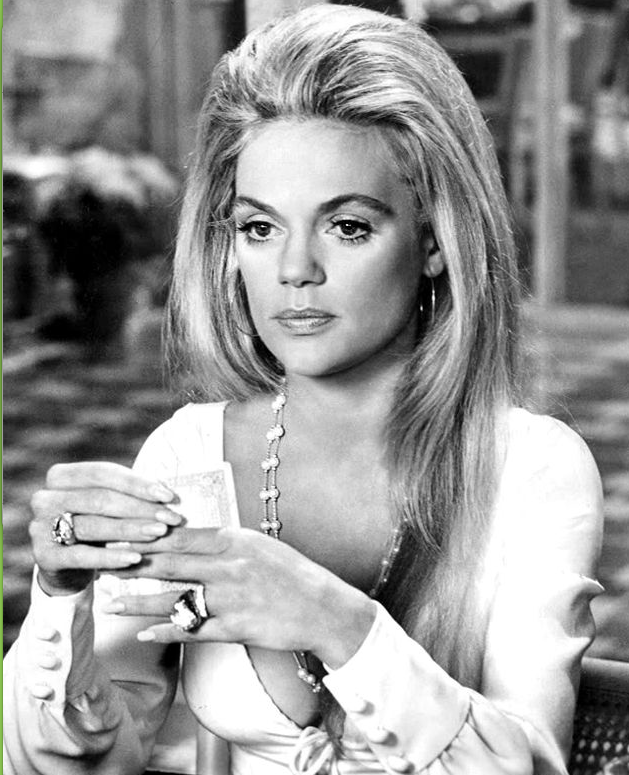 In 1971 she starred in five films: The Love Machine, Doctors' Wives, The Anderson Tapes with Sean Connery, The Burglars, and Such Good Friends, for which she received a Golden Globe nomination for Best Actress. Cannon starred opposite Burt Reynolds in Shamus (1973) as well as the mystery The Last of Sheila that year, and gave a critically acclaimed performance in Child Under a Leaf in 1974. She became the first Oscar-nominated actress to be nominated in the Best Short Film, Live Action Category for Number One (1976), a project which Cannon produced, directed, wrote and edited. 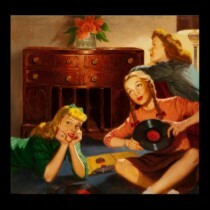 It was a story about adolescent sexual curiosity. In 1978, Cannon co-starred in Revenge of the Pink Panther. That same year, she appeared in Heaven Can Wait, for which she received another Oscar nomination and won a Golden Globe Award for Best Supporting Actress. In 1976, she hosted Saturday Night Live during its first season and she guest starred in the fourth season of The Muppet Show in 1979. In the 1980s, Cannon, who is also a singer/songwriter, appeared in Honeysuckle Rose (1980) with Willie Nelson, Author! Author! with Al Pacino, Deathtrap (1982) with Christopher Reeve and Michael Caine, Caddyshack II (1988), as well as several made-for-TV movies. In the 1990s, she appeared on the popular television shows Diagnosis: Murder and The Practice, as well as being a semi-regular on Ally McBeal. She made appearances in films such as That Darn Cat (1997), 8 Heads in a Duffel Bag (1997), and Out to Sea (1997) with Walter Matthau and Jack Lemmon. In 2005, she appeared in Boynton Beach Club, a movie about aging Floridians who have just lost their spouses. On July 22, 1965, she married actor Cary Grant, who was 33 years her senior. They had one daughter, Jennifer (born February 26, 1966), who also is an actress. They were divorced on March 21, 1968. 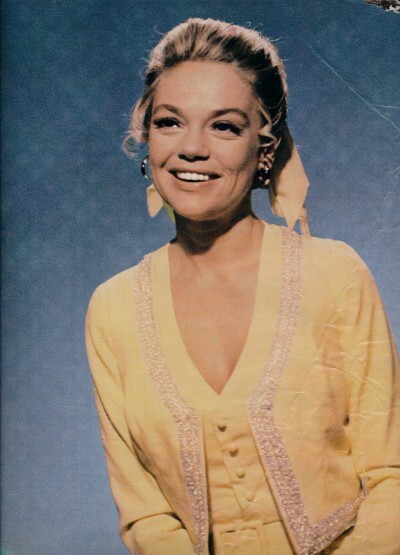 Enjoy Dyan Cannon's big and clear voice!